Each new year brings a slew of articles filled with prognostications for marketing and advertising professionals. Few areas attract more of this future gazing than programmatic and online display advertising. These conversations, though, are too often in the abstract and lack specifics necessary for marketers to fully appreciate their importance or successfully leverage the suggestions. For example, this season has seen a landslide of stories about blockchain, artificial intelligence, person-level optimization and machine learning. All significant developments about which marketers should be aware. But marketers won’t be able to leverage these advances without making sure they’ve handled a few of the basics. To truly benefit from programmatic, marketing professionals need to have a basic understanding of how it works and what it requires to be successful. When we refer to programmatic, we are talking about a technology that enables the high speed, automated trading of media inventory, placement of advertising creative and sharing of performance data. These placements are made across one’s entire marketing mix, simultaneously coordinating advertising across multiple websites, mobile apps, devices and creative formats. Programmatic media buying involves the utilization of demand-side platforms (DSPs) and data management platforms (DMPs). DSPs expedite the process of buying advertising and media inventory on an open exchange and give advertisers the ability to reach their target audience by using DMPs. DMPs then collect and analyze vast amounts of cookie data that allow advertisers to make better decisions about who their targets might be and how best to reach them. It is meant to find—without favor or personal bias—the combinations of placement, creative and message that drive the highest return on investment and drive the advertisers’ most important business goals. Some may see programmatic as an all-knowing, emotionally detached technology. In its ideal state, it is meant to find—without favor or personal bias—the combinations of placement, creative and message that drive the highest return on investment and drive the advertisers’ most important business goals. 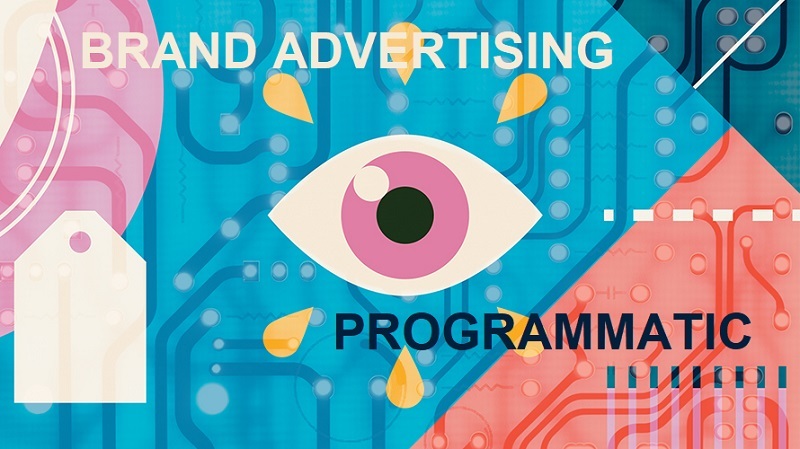 It is in no small part thanks to this realization, and the universal access to vast swathes of media programmatic brings, that companies like Procter & Gamble are making significant investments in programmatic. There are, however, some basics any advertiser looking to capitalize on the benefits and avoid some of the pitfalls of programmatic need to have in place. This is incredibly important. Advertisers should avoid paying for existing customers or those who were coming to purchase already. This frees up marketing budget to expand your audience and helps maintain a healthier balance of targeting that seeks new customers. If you fail to set this as a performance metric, you run the risk of paying for inexpensive impressions that are seemingly driving performance but aren’t pushing incremental growth. These are empty calories: They don’t do anything to make your bottom line healthier. Transparency may seem like table stakes, but it is harder to get than many think. Marketing teams need to make sure they have visibility into what media is bought and the distribution of impressions across websites and apps. Obviously, you’ll want to check to make sure the impressions that you paid for and the sites you appeared on were delivered. Also, this transparency helps you gut check the spends and CPM’s across your marketing spend and provides an early warning system for potential problems, such as paying premium prices but buying mostly low-value traffic. Many agencies are part of holding companies that negotiate rates with media owners by leveraging the spend of their entire client roster. Advertisers can tap into these negotiated rates to secure discounts on media placements and realize significant savings on media. However, be on the lookout for bias toward or spikes in spending on publishers with whom the agency has a relationship. It is possible that the agency has been instructed to spend a certain amount with a specific publisher so the group can hit the next incentive or discount point. Bringing an ad server, such as DoubleClick Campaign Manager, in-house can provide visibility into the category of content and domains to which ads are being served. It can also analyze the impression overlap between vendors to increase reach and efficiency and drive higher performance. Make sure that the ad server chosen has attribution as one of its key features. Any ad server worth its salt will be able to track most digital activity for true path to conversion analysis. The agency can still manage the system while the advertiser gains greater visibility. If a cost per acquisition (CPA) goal is a stretch target, it might be unwittingly forcing bad practices and inefficiencies. It is good practice to understand the consumer journey and invest accordingly. For example, allowing a higher CPA for tactics higher up the funnel or further from the point of conversion may yield a better overall return. The internet is home to myriad sources of content and entertainment—inspirational, educational, informative and even the mundane. Just as you try to find the places and sites that most benefit your brand and marketing goals, you will probably want to identify those upon which you don’t want to appear. There are also certain types of content, even on mainstream websites, you may want to avoid. For example, no one wants to see their travel discounts posted next to news about a transportation accident. There are many new and exciting ad tech and mar tech solutions on the horizon that have the potential of revolutionizing our approach to digital marketing. Mastery of the basics outlined in this article can help advertisers build a firm foundation upon which these new advances can be built.